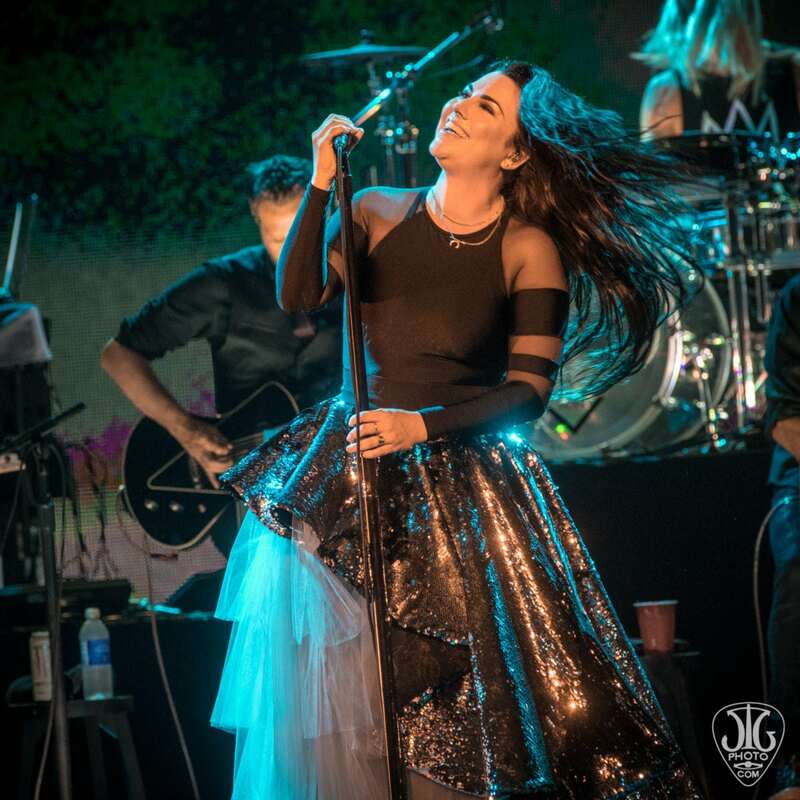 Evanescence and Lindsey Stirling shared the headline at Saratoga Performing Arts Center on Saturday, July 28th, cutting through the humid and steamy night with ethereal vocals and punchy, athletic dancing. 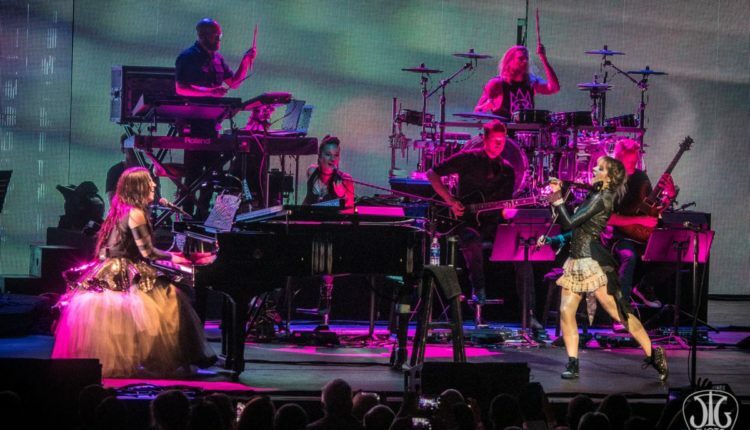 Juxtaposed with the ballet at SPAC the previous week, and the Philadelphia Orchestra which is scheduled to open Wednesday at the venue, both Amy Lee and Lindsey Stirling hosted local musicians on stage to fill a full orchestra. Complete with graceful professional dancers, a LED screen with coordinating visuals, and well-timed light shows, both artists offered thoroughly enjoyable and unique performances. Singing some incredibly sad songs, Lee spoke optimistically to her fans. She voiced gratitude to the musicians on stage with her, and would later remind audience members to be present and “enjoy the music tonight.” Her just be here now message brought a roar of approval from fans, many of whom have followed Lee for 20 years. A highlight of the evening was Evanescence’s cover of the Beatles tune “Across the Universe.” Lee was backlit with images from nature as she sweetly sang the lyrics “Nothings gonna change my world.” While better known for heavier sounds contrasted with her voice, Lee’s vocals on this cover shifted the mood during her longer set of seventeen older tunes. “Hi-Lo” followed, with Stirling dancing on stage at the end with her fiddle. Lee’s rendition of their famous song “My Immortal,” while still beautifully performed, lacked the usual punch from the bass and orchestration typically associated with the piece. There were a number of moments that the balance seemed a bit off, perhaps due to having different musicians each night in the orchestra, or simply a sound issue? Either way, Evanescence’s performance was still a treat. Evanescence ended the set, bowing with bringing their children on stage to wave at fans and enjoy the applause. There was a moment of recognition that Evanescence has traveled a long way as a group, not just this summer, but over the past 20 years, to bring this experience to us. Their coordination with local musicians on songs, old and newer, and ease of performance reflect their experience and wealth of confidence. Stirling is a dancer and a performer, and each song demonstrated that while her violin playing might not be up to par for a classically trained orchestra, her fiddling while dancing can entrance young and old alike. Her costume changes, use of set, and even role-playing as she danced with the other performers told stories and held the audience’s attention in her unique presentation. She battled ghosts using her feet and bow in dance, she “flew” above the crowd on a rising platform, and she danced with wood nymphs as she rescued them from magic. And she worked the crowd beautifully, inspiring the young faces who looked upon her graceful and playful dancing with dreamy eyes and pursed lips, perhaps imagining their own dreams coming to life. 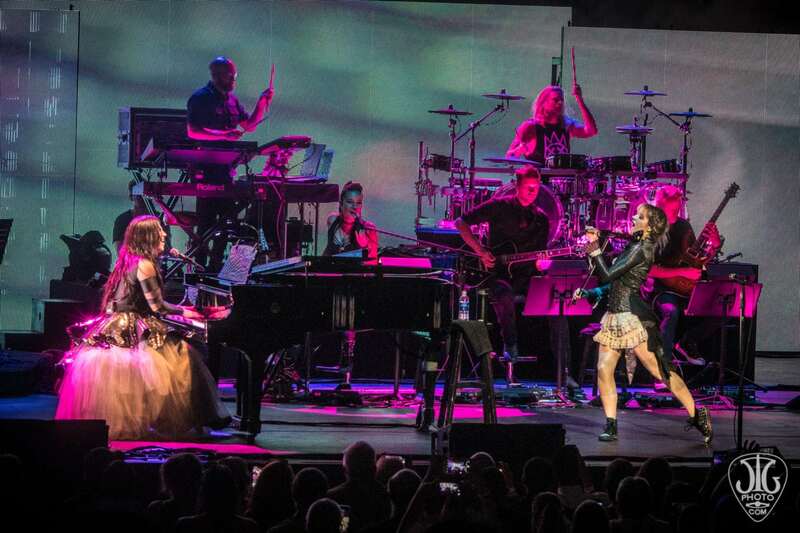 Amy Lee joined Stirling, singing vocals on “Shatter Me.” Stirling kept the energy and imagination moving through her set of fourteen pieces, ending with a dramatic “Phantom of the Opera” encore for her fans. Stirling offered a unique performance, one you couldn’t get from listening to her CD. She captivated the crowd with motion, and while her fiddling was only mediocre, her spirit soared with her feet as she chased her dream around the stage. 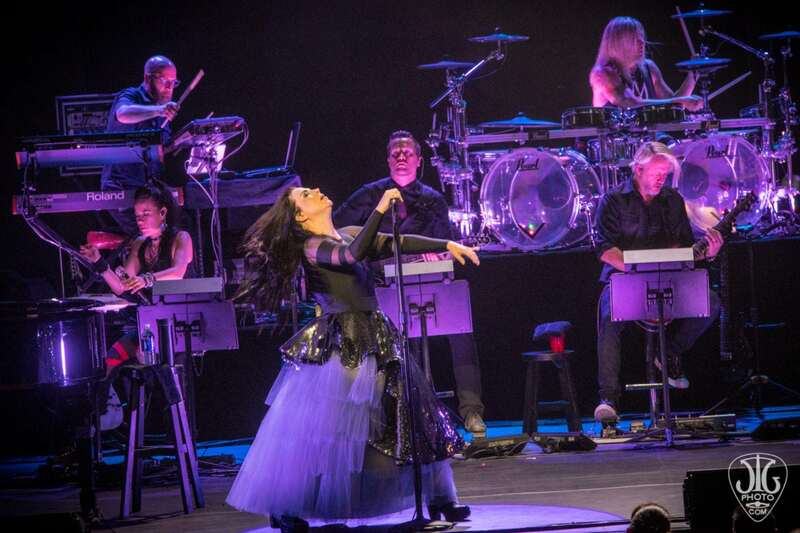 Not quite the ballet, and not quite the orchestra, both Evanescence and Stirling demonstrated similar components (orchestra, dance) used to entertain Saratoga Springs. And while not classically executed, both performances were unique in offering their authentic voices to the mix of what SPAC brings each summer and, like their classical counterparts, brought great joy to their fans.